Breaking News: CEO of DBS, Richard Stanley, who was reported to have leukaemia in January, has passed away. The Geylang Serai temporary market was a somber place when I visited it yesterday. Surrounding two foreign workers helping the cleanup efforts were the shuttered food stalls. The cleaners were scrubbing the floors between the empty tables. Looking grim too were some stall owners who were present. 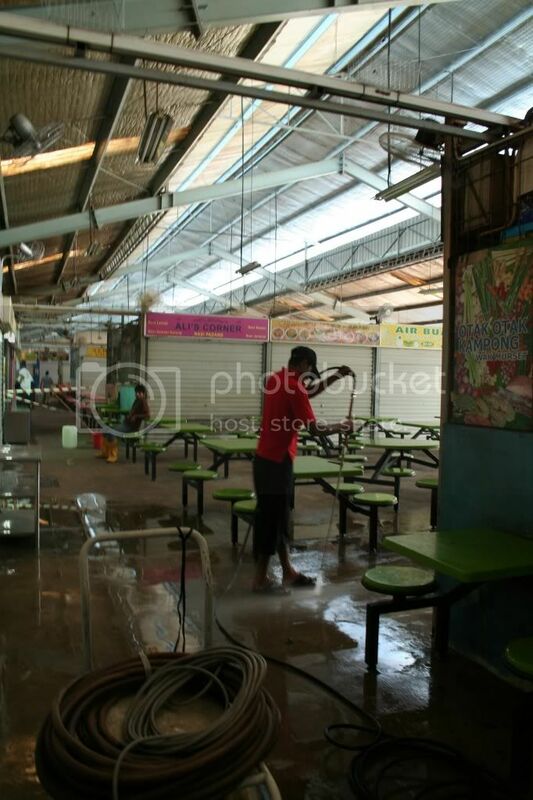 The cleanup, originally slated for next week, had been brought forward by the Geylang Serai temporary market’s management in response to the recent food poisoning incident. Most stall owners were receptive of the cleanup efforts, underlying the much needed confidence of customers who have concerns about the hygiene conditions of the market. 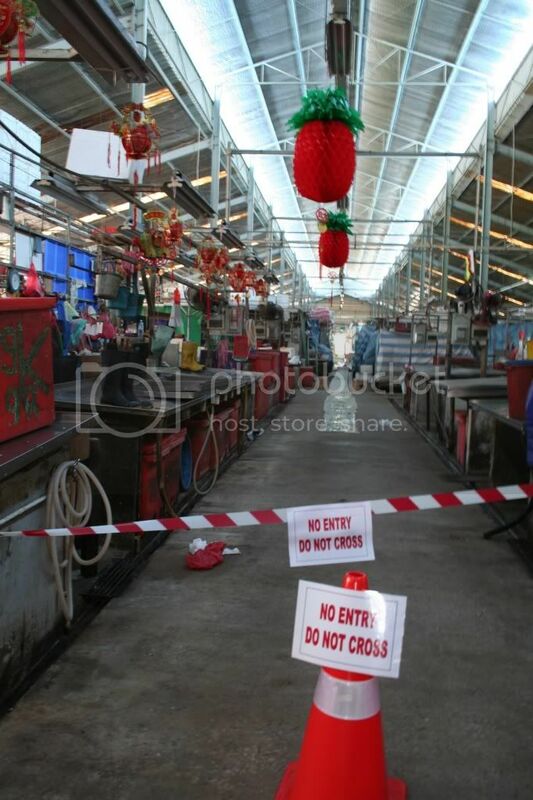 After the mass poisoning, the tenants – including those from the wet market and textile shops – were subjected to stringent checks by the NEA officers; the food stalls at the hawker centre were accorded the most attention, with the health officers thoroughly going through the various nooks and crannies. Mr Wahab, a chicken rice seller, said that the NEA officers, whom he claims spend an average time of 10 minutes on each stall, also advised the stall owners to throw away any unnecessary items from their freezers to avoid any potential contamination. Many stall owners took the opportunity to go beyond the recommended NEA guidelines. A couple of them were seen layering a fresh coat of paint to the pipes and walls of their stalls, out of their own expenses and despite being only two months away from a move to the new Geylang Serai market. Madam Hasinah, who sells nasi padang, hopes that with the new paint, her stall is not only clean, but looks presentable as well. Why was cleanup not done earlier? Pak Wan, a vegetable stall owner from the wet market, recalled that these washings were done once every two months at the previous wet market. The stallholders all confirmed that this is the “first time [a] 100% check” is done since the temporary market was established, save for minor NEA initiatives such as an anti-cockroach campaign held six months ago which did not entail any stall closure. 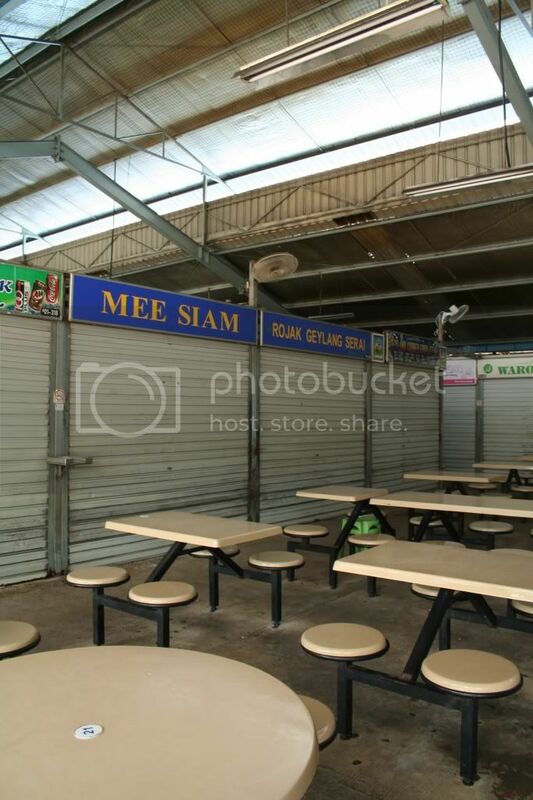 While Pak Wan suggested that the cleanliness of this temporary market was better than at the old market, Mr Wahab said that “each stall should be responsible for their own hygiene and cleanliness standard”, particularly with the wet market separated only by a narrow corridor. He said the presence of raw vegetables and food attracted pests, although he was reassured by the new double-storey market which will separate the food stalls and market stalls on two different levels. Madam Lin expressed a desire to move on from this unfortunate episode, although she admitted that it will be difficult given the severe fallout, particularly for the families affected. 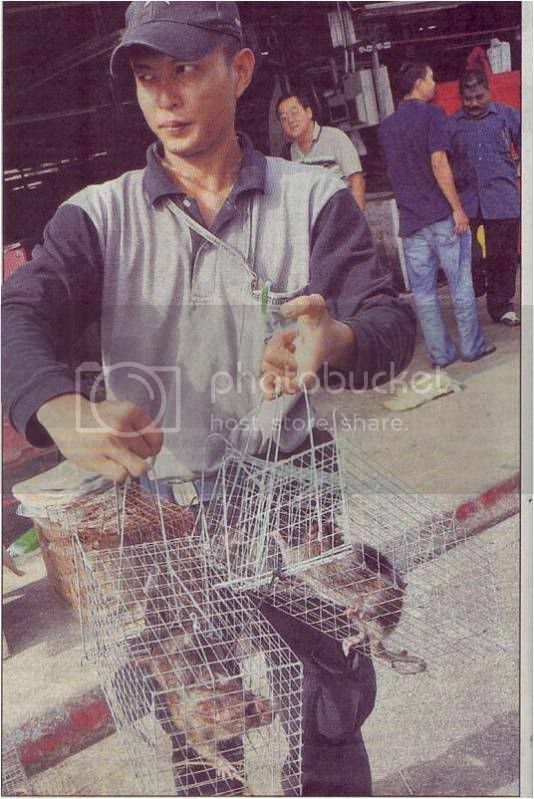 Mr Wahab expressed sympathy for his fellow stall owner, whom he said was “unlucky” after “40 years of selling” without incident; although he agreed with the need for a punishment, Mr Wahab was also against depriving completely the rojak seller of the only livelihood he has known for four decades. The question on Singaporeans minds now is: how much of the blame should NEA bear for the market’s filthy conditions? Now that lives have been lost, the knee-jerk cleanup might just be too little too late for the families of the deceased. Headline picture from the Straits Times. Other pictures by Khairulanwar Zaini.